​the American Psychiatric Association, and the Daredevil, Stuntman, and Funambulist Guild of America. This year -- more than ever -- don't turn on the TV! Don't check Twitter. 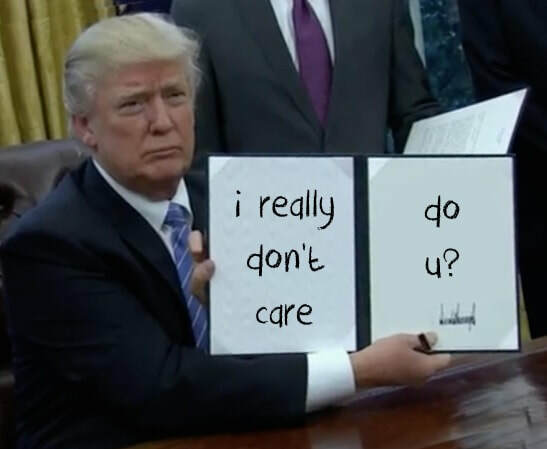 Don't check any other social media. Instead, just retire into a dark room and lie in a corner on an air mattress. 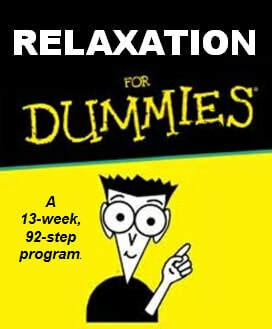 The theme for 2016 was "Relaxation for Dummies." 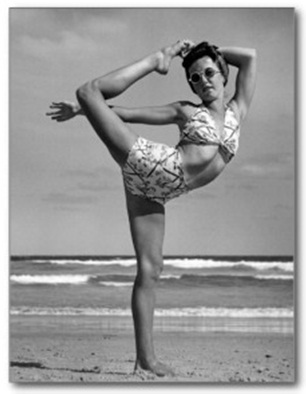 Hopefully, you didn't wait until 8/15 to start the 13-week program! If you find it difficult to relax, visit the beautiful Emmett Lee Dickinson National Center for Rest & Relaxation and Day Spa in Washerst, PA. 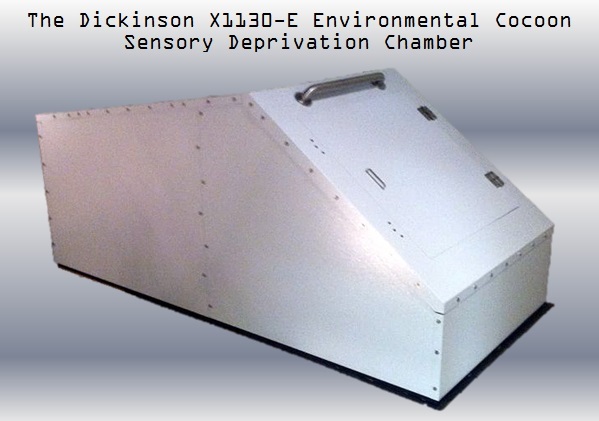 It offers state of the art relaxation and sensory deprivation packages at very affordable prices. 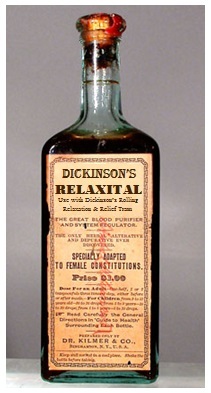 One of the most effective methods to bring about relaxation and stress reduction is the combination of Dickinson's "Relaxital" when used with Dickinson's Rolling Relaxation and Relief Tram. 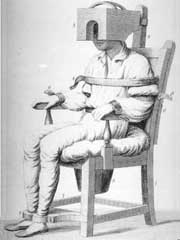 Dickinson invented the Rolling Relaxation and Relief Tram specifically for individuals who experience nervousness, sick headaches or stomach aches, backache, spine ache, internal heat, scalding urine, chronic weakness, dull tired looks, suspicious growths, or perversions due to life change. 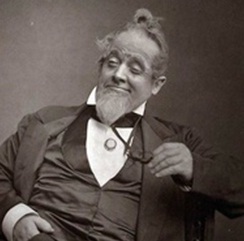 The rolling tram works wonders when used in conjunction with hourly doses of Dickinson's "Relaxital." 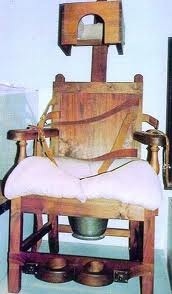 Like the label says, "Specifically Adapted to Female Constitutions." 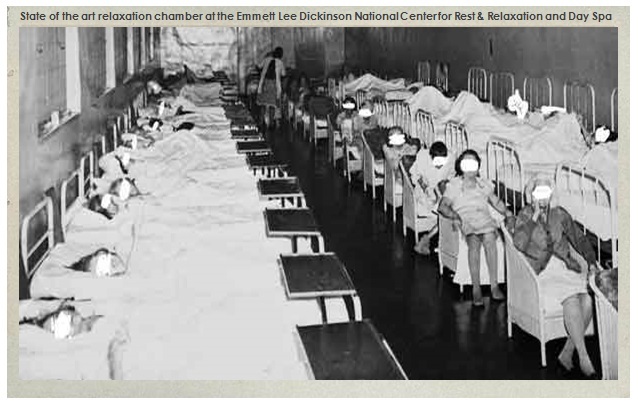 Pictured at the far left: Dickinson's "Relaxital." For more information on medicines invented by Emmett Lee Dickinson, click HERE. Pictured at the left: Dickinson's Rolling Relaxation & Relief Tram. 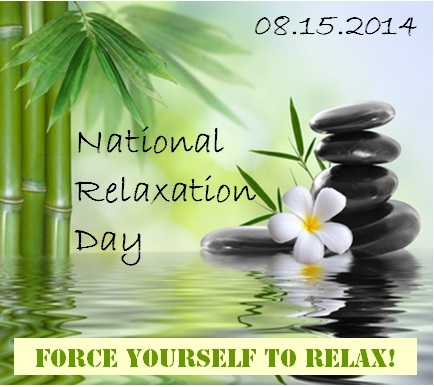 Scroll down for the history of National Relaxation Day, for information from our 2013 NRD celebration. 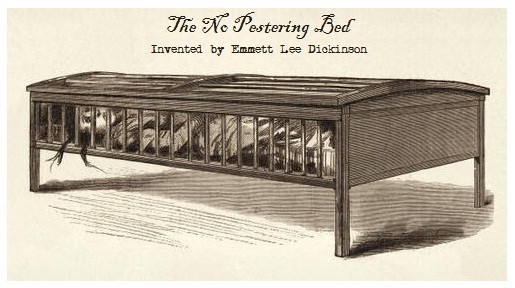 Not only did Emmett Lee Dickinson establish National Relaxation Day, he developed many cutting-edge relaxation techniques that are still popular today. 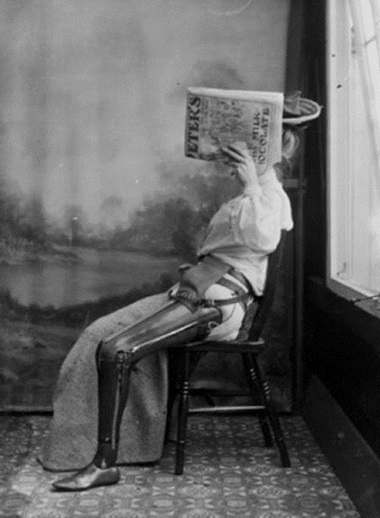 Below left to right: Many of the popular relaxation techniques developed by Emmett Lee Dickinson (Emily Dickinson's third cousin, twice removed -- at her request): Wall clinging; the inverted thigh-burning groin stretch (a favorite of Queen Elizabeth's); psycho-neurotic electrical shock; primitive dentistry. STRESSED spelled backwards is DESSERTS! All too often people run to the refrigerator or the Dairy Queen to fight off stress! Instead, think of the word ENTRÉE spelled backwards: EERTNE, Emmett Lee Dickinson’s proven way to battle stress: Energy Efficient Relaxation Techniques Now Everyday (he combined “Every” and “Day” to make his acronym work). Relax your neck and torso. Spend time in a Sensory Deprivation Chamber or Environmental Cocoon according to the chart at the right. 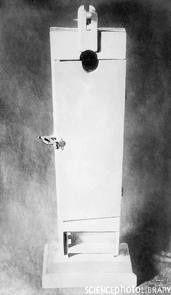 Pictured at the right: The Dickinson X1130-E Environmental Cocoon Sensory Deprivation Chamber, invented by Emmett Lee Dickinson (Emily Dickinson's third cousin, twice removed -- at her request). 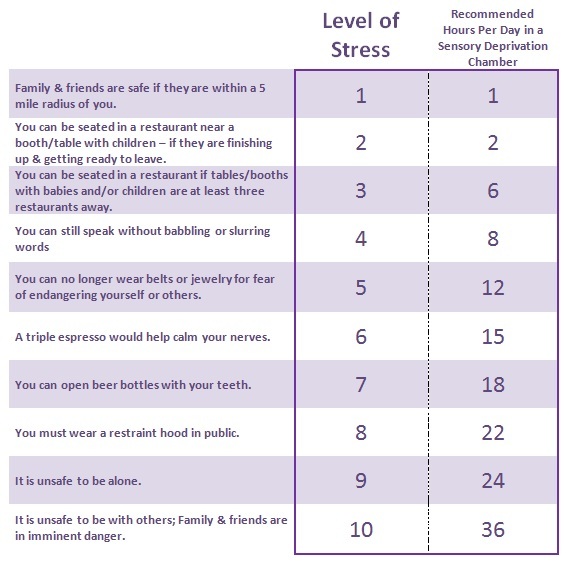 Depending upon one's level of stress (refer to the chart above on the right), an individual should spend one or more hours within the chamber to reach an optimal level of relaxation. Pictured at the far right: If you do not own a sensory deprivation chamber, you can get a similar effect with the use of a paper grocery bag. 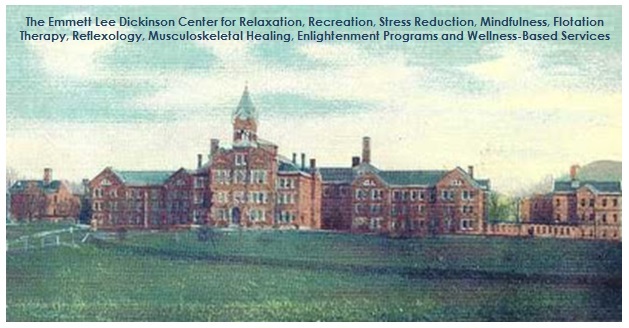 Pictured at the left: The Emmett Lee Dickinson Center for Relaxation, Recreation, Stress Reduction, Mindfulness, Flotation Therapy, Reflexology, Musculoskeletal Enlightenment Programs and Wellness-Based Services is the world leader in the study and advancement of relaxation techniques and theory. The E. L. Dickinson CRRSRMFTRMEPWBS is located in historic Washerst, PA, the birthplace of Emmett Lee Dickinson (Emily Dickinson's third cousin, twice removed -- at her request). 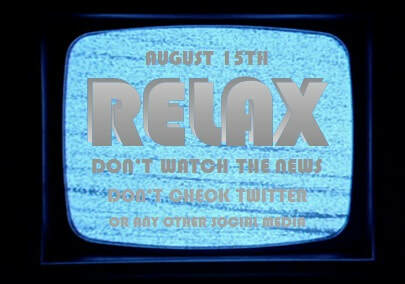 See below for information on how Emmett Lee Dickinson (Emily Dickinson's third cousin, twice removed -- at her request) selected August 15th as the nationwide day to relax. 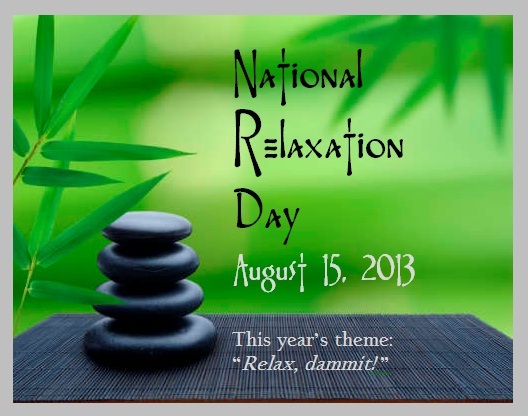 2013's NRD theme: "Relax, dammit!" 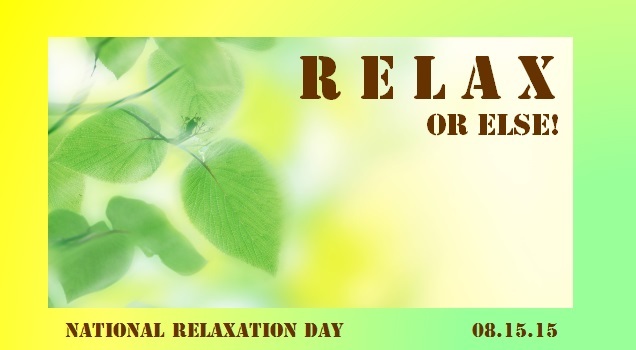 There are three possible reasons why Emmett Lee Dickinson (Emily Dickinson's third cousin, twice removed -- at her request) chose August 15th as "National Relaxation Day." 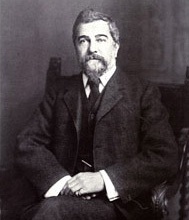 1) Late in life, Dickinson began advancing theories of the unconscious mind, experimenting with treatments for neuralgia, and inventing therapeutic techniques such as the use of free association and phrenology. 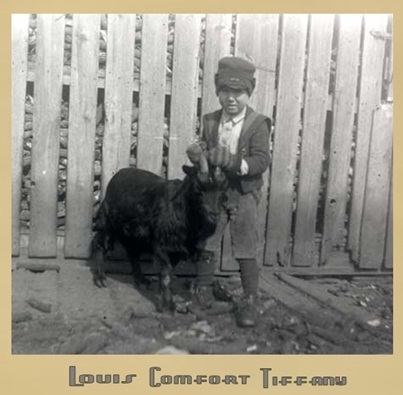 He worked with Sigmund Freud and treated Louis Comfort Tiffany for his unsettling fear of insects and plants (this work is documented in Volume 2 of Great American Poems ~ REPOEMED). It was on an August 15th that Tiffany experienced a breakthrough with Dickinson in overcoming his phobia. Pictured above: Sigmund Freud, who worked with Emmett Lee Dickinson in advancing theories of the unconscious mind. Pictured above: A corn-motif from a Tiffany lamp shade after Dickinson cured him of his phobia. Pictured at the left: Tiffany prior to developing his fear of nature. 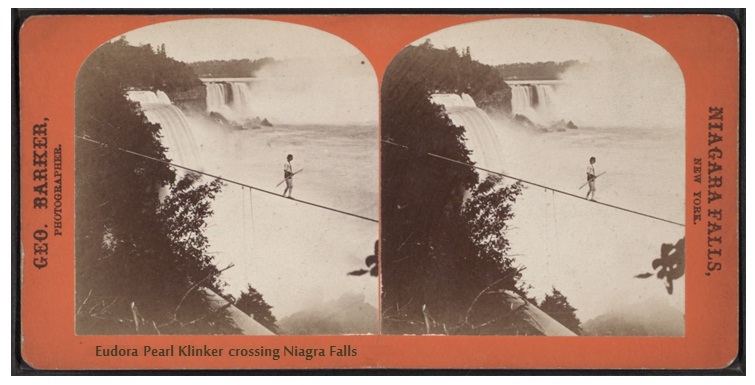 2) August 15th was the date of the death of Dickinson's fifth wife, Eudora Pearl Dickinson, who plunged into the Niagara River while trying to cross Niagara Falls on a tightrope (at the time of her attempted daredevil feat, Eudora was wearing the costume of a French maid, so she became known as the “Maid of the Mist”). Pictured at the left: Wax figures of Emmett Lee Dickinson's five wives are in the Great Hall of Wax Figures at the Emmett Lee Dickinson Museum (above the coin-op Laundromat on Dickinson Boulevard). Since no photographs or paintings exist with the likenesses of any of the five women, Dickinson's grandson, Lee Thadeus Dickinson, stood in as a model for the each wife. 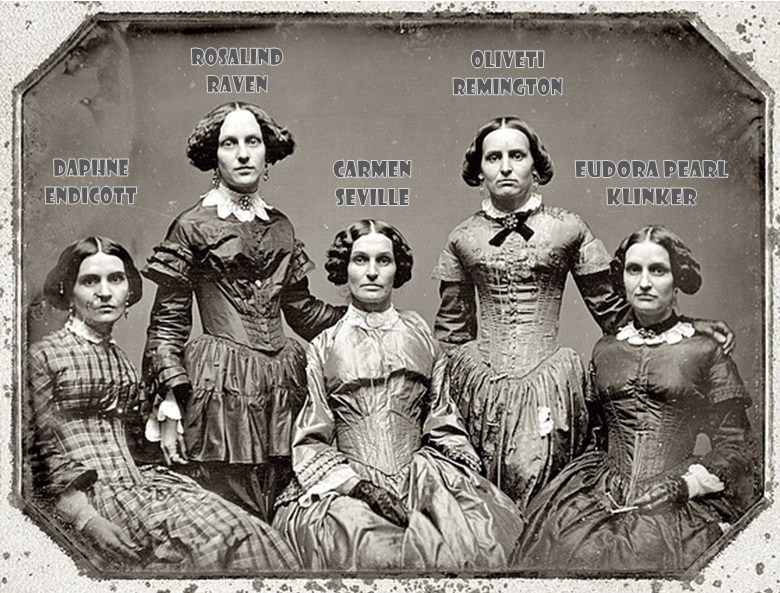 Eudora Pearl Klinker Dickinson is depicted at the far right in the picture. Pictured at the right: Emmett Lee Dickinson's fifth wife, Eudora Pearl Klinker, crossing Niagra Falls. In a later attempt -- while dressed as a French maid, she plunged to her death. 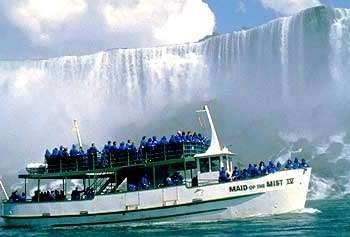 Pictured at the left: The Niagra Falls boat tour named after Emmett Lee Dickinson's fifth wife. 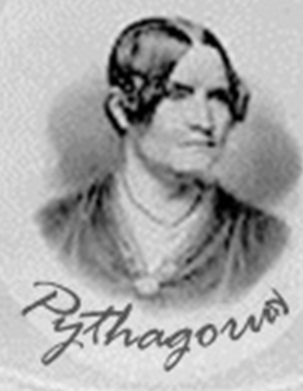 3) Emmett Lee Dickinson's sister Pythagoria was a middle school teacher, and she suffered from no less than eight mental and anxiety disorders, including panic disorder, encopresis, rumination disorder, and stereotypic Movement disorder. 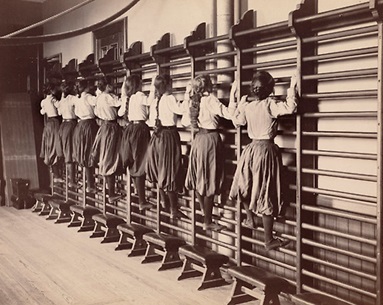 Dickinson noticed that his sister's various symptoms would intensify as a new school year approached, so he developed relaxation techniques for her. Some believe Dickinson chose August 15 as National Relaxation Day because it was a date near the start date of most school district's school years. Emmett Lee Dickinson's therapeutic techniques and innovations for dealing with stress and anxiety are still recognized as the most progessive when it comes to reducing tension and increasing relaxation. 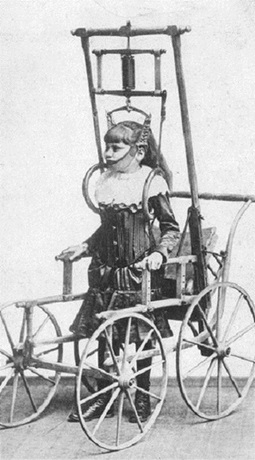 Pictured at the left: Dickinson's invention, the Perceptual Deprivation RehabilitationChair. Pictured at the right: Emmett Lee Dickinson, who suffered from sluggish liver and biliousness, would sit in his PDR Chair for hours, and at times, for days. In the mid-1800s, Dickinson invented the Relaxation Booth (pictured at the left) and the No Pestering Bed (pictured at the right). Both devices are still popular items and are top-sellars at Ikea and other trendy furniture stores. 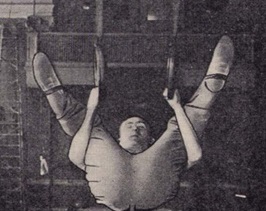 Emmett Lee Dickinson also developed various relaxation techniques. 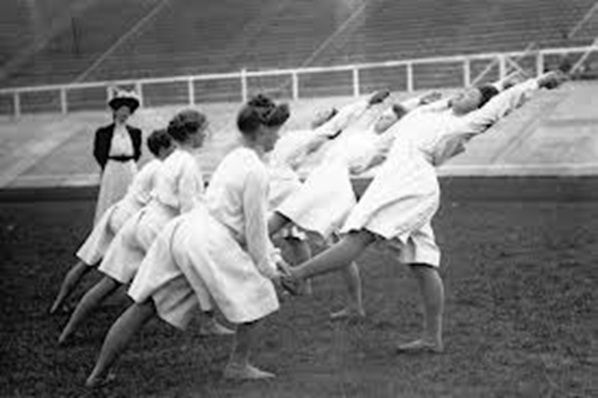 Pictured above, left and right: The Dickinson two-man (or woman) "crescent lunge." 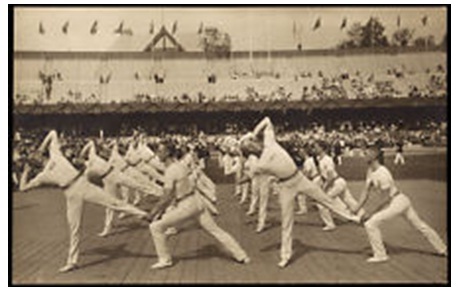 Pictured at the right: Dickinson's one-legged groin stretch. FOR THE COMPLETE CALENDAR OF EVENTS IN WASHERST, CLICK HERE.